The two piece coupler kit creates a seamless connection between the two grid panels and brace poles. The top coupler secures the upper portion of both grid panels while the base brace coupler with support footings connects the bottom grid panels and brace poles. 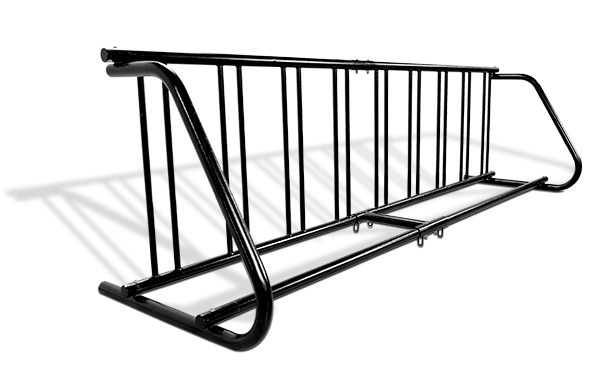 Grid style bike racks are highly recognizable as a safe and secure bicycle parking. The compact structuring allows for maximum parking capacity and helps maintain a neat and orderly appearance. The innovative design allows for these high capacity models to ship direct, flat and fast. The unique couplers give additional support to the brace poles countering the strenuous effects that high volume use can present.